George Barris, who created television's original Batmobile, along with custom vehicles for "The Munsters" and "The Beverly Hillbillies," has died at 89. For full obituary and coverage from Legacy.com, click here. 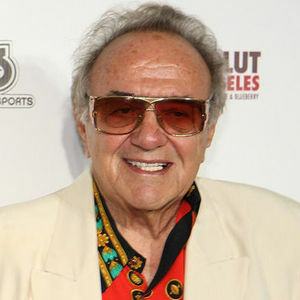 "My good friend George Barris past away and He will be missed by many. Good men must die, but death cannot kill their names. George will always be the "KING OF CUSTOMIZE CARS "
"Say hi to jacob wetterling and my fave crime author Ann rule"